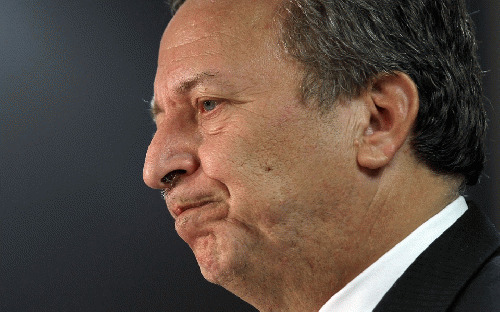 In a remarkable departure from earlier versions of Larry Summers, the former Treasury secretary, Harvard president and top Obama economic adviser has recently been sounding the alarm about secular stagnation -- a prolonged period when the economy operates below its potential level of output. This discovery may provoke choruses of "duh" from the tens of millions of workers who for years have had the opportunity to live with secular stagnation in the form of unemployment, underemployment or stagnant wages. But even if his discovery is not news to most people, it is a huge development nonetheless. Summers is one of the world's most prominent economists. In the mainstream of the profession, it has long been a matter of virtual absolute faith that the economy tends to sustain full employment levels of output. Any departures from full employment are quickly corrected by the self-adjusting market, ideally with a push from a reduction in interest rates by central banks. This view seems less credible in the wake of the recession that began more than six years ago. By the estimates of the Congressional Budget Office, the economy is still operating at a level of output that is more than 6 percent below potential GDP, corresponding to a loss in output on the order of $1 trillion a year. The economy is still down more than 8 million jobs from its trend growth path. And the jobs report released on Friday certainly doesn't raise hopes that we will be closing this gap anytime soon. Clearly this has not been a quick recovery. Furthermore, with the short-term interest rate near zero for the last five years, it is not very clear what else the Fed or other central banks can do to spur growth. To Summers' credit, he is able to look at this situation and change his views about the economy. This is striking, given how much he is associated with the policies that got us here in the first place. After all, Summers held top positions in President Bill Clinton's Treasury as it pushed its policy of deregulating the financial sector. Summers was at the forefront of those arguing that the financial industry would be more efficient without government regulators constantly looking over its shoulder. As late as the summer of 2005, he derided as Luddites those who questioned the wisdom of giving the financial sector free rein. Summers also seemed just fine with asset bubbles back in the 1990s as the economy rode the stock bubble to four years of strong growth at the end of the decade. He also didn't seem to mind large trade deficits. He continued the high-dollar policy put in place by his predecessor, which was the main cause of the explosion in the size of the deficit at the end of the 1990s and the start of the last decade. In short, Summers' fingerprints are all over the policies that gave us the housing bubble, the financial crisis and the Great Recession. While there is no reason to forgive him for extremely costly mistakes that would be career ending in other lines of work, there is also no reason not to welcome his entrance into the world of reality-based economics. Secular stagnation and its manifestations are in fact the greatest economic problem faced by the United States and other wealthy countries. Summers has rejected the religious faith in a self-correcting market that still dominates the mainstream of the profession. If Summers deserves credit for recognizing the problem, he could still use some work on his solutions. The line being pushed by Summers is that we need a large dose of public investment, which can boost demand in the short term and potential output in the long run. This is of course true, but as Summers should know, given his past positions, fiscal stimulus does not appear to be a very easy sell politically. This means that if we want to get back to full employment, we may have to look in other directions. The one currently being pursued to a limited extent by the Fed and other central banks is extraordinary monetary policies like quantitative easing, in which the Fed buys up long-term government bonds or mortgage-backed securities. This policy is intended to directly lower long-term interest rates and to raise the inflation rate. In the case of Japan, the latter goal is quite explicit. At a recent panel of the American Economic Association, Summers dismissed the prospects for this approach and warned of dangerous bubbles developing if countries go this route. When one of his co-panelists suggested that bubbles could be reined in with effective macro-prudential policies, like restricting the flow of credit markets identified as having bubbles, Summers dismissed the idea. He was skeptical that central banks could identify and attack bubbles before they become dangerous to the economy. This was a puzzling claim, since bubbles that are big enough to damage the economy are not hard to see. Summers also dismissed the idea that developing nations may switch back from running trade surpluses with advanced countries to again running trade deficits, leading to large increases in demand in the advanced countries. While he claimed that such a shift was implausible, developing-country trade surpluses have already been sharply reduced. In the case of China, its trade balance went from a surplus of 10.1 percent of GDP in 2007 to just 2.5 percent last year. Finally, we could go the route of work sharing that Germany has used with great success. (Its unemployment rate is 5.2 percent.) Under such a policy, companies avoid layoffs and the government burden of unemployment benefits by keeping employees but having them work fewer hours. If we can't increase the amount of demand in the economy, we can at least divide the work so fewer workers must endure the hardship of unemployment. Summers has also been dismissive of this approach. In embracing the secular-stagnation view, Summers is rejecting the religious faith in a self-correcting market that still dominates the mainstream of the profession. While we all should welcome this important convert, he might try a more ecumenical approach to policy from within his new framework. In what I like to call the reality-based economics community, the main goal must be to get people back to work. It is less crucial that it be done through any important person's chosen route.